Time is running and the fast paced improvement in technology is making many innovative ideas seem outdated. There is no doubt that you have more resources today to run a business and promote it around the globe. However, it is just as true that competition among businesses has never been so tough before. You have to be doing the best and walking briskly side by side with other businesses and technology to remain successful or in a good position. Among millions of businesses fighting head to head on internet and in markets, you are represented by your company’s logo. In the latest trends relating logos, a unique and best idea is to have a 3D logo for your company. You just can’t afford to be passive and look dull among thousands of other similar businesses on the internet and elsewhere. Believe it or not, logo of your company plays an important role in reflecting your business mission, vision and goals. Furthermore, an attractive and striking logo makes your customers feel loyal to your business. They are proud to be the representative of your company and having your company as a representative of their ideas. Thus, a logo does more than just serving as a colorful tag for your company. 3D logos look real as they represent a 3 dimensional view of the images, texts and fonts. You might not be bothered to change the existing logo of your company but you will realize its importance when you compare your current 2D logo with 3D logos of many other companies by placing it right in the middle of dozens of them. Some of the biggest companies like Google, Apple, Facebook etc. now want their logos to be printed in 3D formats on magazines too. A 3D logo gives a 3D view to your ideas and visions. People can feel that your ideas are just as real as the logo. It wouldn’t be wrong to say that 3D logos have more feel and they can create a better connection with the customers. They are also the representatives of the modern era. 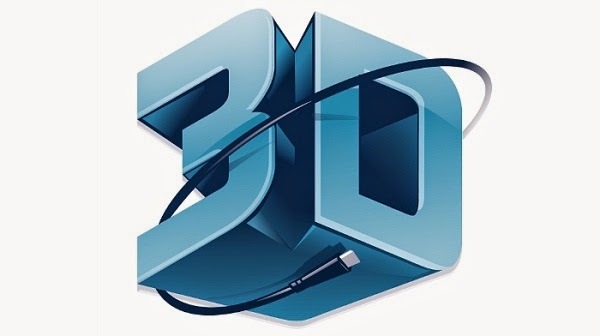 Looking at a 3D logo just makes you feel that the company serves the modern generations and is aiming at the future. A 2D logo on the other hand is a conventional reflection of the previous times and generations. Marketing and advertising are all about appeal. Your brand has to be appealing to the people in order to be successful and 3D logos are more appealing than 2D logos any day. Designers are now learning to design 3D logos quickly. You can hire a designer or logo designing company today and ask for a 3D logo. There are hundreds of online websites providing services for 3D logo designing, e.g. http://logo-template.com is a popular website where you can get custom 3D logos in many categories. You can have the vector images of your current logo design converted in 3D logos too. You can buy a logo template that is exclusive to your company and have it transformed in 3D. Its 3D section is quickly becoming popular but there are other softwares for designing 3D logos too. In short, you can have a new 3D logo designed or have the one you have right now converted into 3D.